No bill shocks – Ever! – No confusion, we don’t just give you a low payslip price only to up-sell you additional services down the line. The price we quote is the price you pay. Guaranteed!!! Benefit from our experience – Our team are professional payroll or HR Experts experts. We do not employ sales staff, so you can be confident our focus is on your business not the business we can gain from you. Individual service – You will have a named contact for both payroll processing and HR. This person will know your business and the challenges and issues. This ensures we get it right first time every time. Custom reports – Need a custom report? No problem and guess what? No charge either. All the reports you need custom or otherwise are free forever. no two companies are the same which is why we don’t have a ‘one size fits all’ approach. And it’s included in the price. Our guarantee – many companies say they offer great customer service. So they claim! At SmartWorks, we don’t just talk about it, we guarantee it. 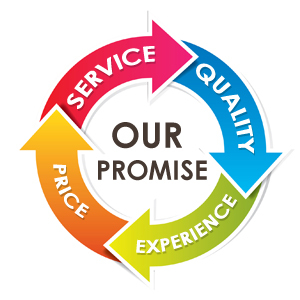 We don’t have a customer charter, we simply make a promise. We aim to get a 10 star rating for every aspect of our service. You will speak with professionals, based in the UK. You will either get the answers you are looking for or a timescale when we will get back to you. Both our call centre and operations are based in the UK so you can be sure of a first class quality service that is both UK Law and HMRC compliant. Every client is appointed a dedicated account manager to ensure you're taken care of every step of your journey with us. From the outset your information security is paramount. We employ the best industry leading solutions to ensure the data exchange between you and us is secure to the highest standards and GDPR compliant. Our single minded focus is to ensure we spot problems and or issues with your payroll or HR before any issues arise. We then advise you well in advance on a suitable action plan. So you have the complete piece of mind to concentrate on running your business. Whilst we manage your HR and payroll function, you get real time access and information in our cloud based platform. Your employees get their own logins too, where they can request holidays, view time sheet and shifts, view payslips plus much more. No hardware or software required - Ever! We'll remind you of key dates or timings to ensure you stay completely compliant always. You will always know the costs well in advance, we have no hidden pricing so can guarantee you will never get a bill shock ever! We take care of everything for you. Leaving you to run your business. You choose either just to have payroll or payroll and HR.